Comment from signatory: Former external examiner for undergraduate and doctoral students at Southampton. Comment from signatory: I sign as a former external examiner at the University of Southampton. Comment from signatory: Please give me back the part of the tuition fee for the cancelled classes. Please go to negotiate for social justice. Comment from signatory: The lectures I have are amazing and I hope that ucu and uuk can come back to the table and not attack the lectures at all. Comment: Our devoted staff deserve fair pensions !!!!!!!! Comment from signatory: Supporting your staff means supporting your students and surely that is the purpose of the Vice President’s job as the representative of this university. 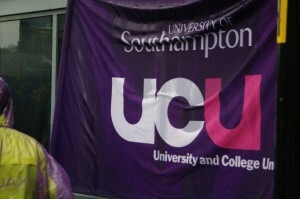 The lecturers work hard and they don’t deserve to have part of their pension stolen from them.